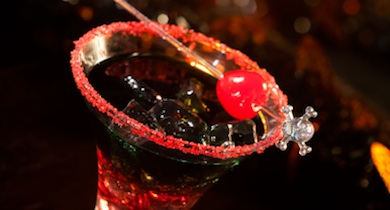 Halloween is the time of year when sweet temptations are everywhere. Here are some grown-up ways to indulge without the bulge or the blood sugar spikes. 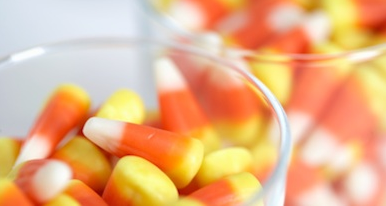 Plus, get tips to whether the “fun size” candy season. Is that chewy layer of caramel your favorite part of a Twix™? Two bars of this chocolate treat has 37 grams of carbs. Instead, why not try homemade Caramel Popcorn. You’ll gobble up a bowl of this delicious treat. While most recipes call for corn syrup and butter, this one uses little molasses, Splenda®, and egg whites. To turn this into Halloween treats for the kids, add orange food coloring to the liquid, and form the mix into balls before it cools completely. Grease your hands first! 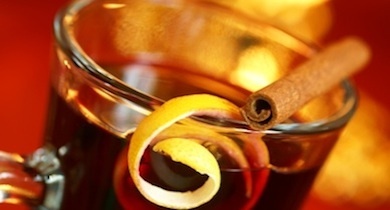 Mulled Cider. Though apple cider is high in carbs, it’s less processed than apple juice. And when you add aromatic spices and citrus, a one-half cup serving at 16g of carbs is a good way to toast the season. If you like hard cider, one-half cup contains only 6.5g of carbs. 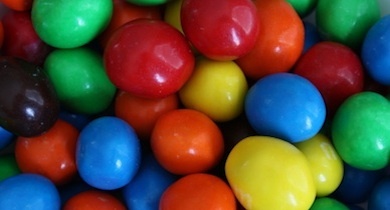 Do you crave the crunch of peanut-filled candies? One 1.74 oz bag of these nutty candies has 30 grams of carbs. Instead, why not try spiced nut mixes. Nuts, one of the easiest treats in the world can also have the most satisfying, sophisticated flavor. Toss a bowl of your favorite nuts with some simple ingredients and spices to make a savory, sweet, or spicy snack that will wow your guests. 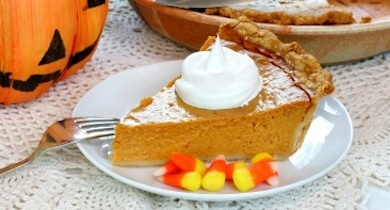 Pumpkin Pie Variations. Pumpkin, along with all the other types of winter squash, is like sweet potato. These vegetables are great sources of beta-carotene and may help prevent cancer, heart disease, and other diseases. Caramel Apples. Although it’s almost impossible to make a candy apple without sugar, you can make an excellent caramel apple that’s sugar-free. That’s because you can easily find sugar-free caramels, or make your own. Just melt a package of caramels with a couple tablespoons of water and 1/2 teaspoon of vanilla extract. Stick popsicle sticks in your apples and swirl. Let harden on wax paper. 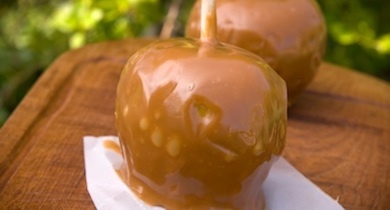 Tips: 1) Wash and dry apples well, so the caramel will stick. 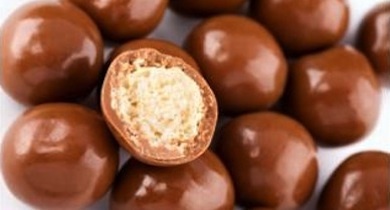 2) Try to eat just one — the sugar alcohols in the caramel may upset your stomach. Pumpkin Seeds. 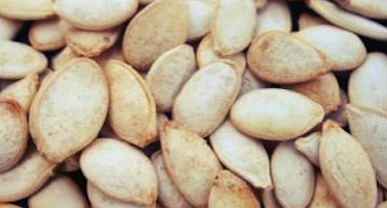 Three tablespoons of pumpkin seeds have 8g of protein and 4g of carbs. These delicious seeds are a very rich source of phytosterols, which can help lower cholesterol. Also, the hull is a great source of fiber. Rinse and dry the seeds well and toast in a single layer on an oiled cookie sheet. Swirl and sprinkle with your seasoning of choice. Spooky Blender Drinks. All it takes is a good blender and some food coloring and you can make slushy drinks for Halloween in orange, black, monster green, blood red … whatever suits your theme. Blend together a sugar-free syrup, seltzer water, and ice. Add a few plastic ghosts or spiders, and your house will be Halloween central. 1. Make a plan to deal with the fun-size candy bars, and count every carb. 2. Buy a large pack of sugarless gum in different fun flavors. Keeping something sweet in your mouth and keeping the jaws busy will help you say no to the Reese’s®. 3. Don’t skip dinner on Halloween. Fill up on soup and/or a big salad before you head out, or stay in, for trick-or-treating. 4. Don’t buy candy until the last possible minute and then buy your least favorite kinds. Next, divide it up into little Halloween bags that you can seal. 5. Get rid of the leftovers right away. Bring them to the office or give to a shelter or food pantry. JDRF. Candy Carb Counts. http://www.jdrf.org/index.cfm?page_id=106002 Ostlund, RE. 2007. “Phytosterols, cholesterol absorption and healthy diets.” Lipids 42 (1): 41-5.